For the last two days I have been attending the Articulate Roadshow held in Toronto. This was an opportunity for me to combine some personal vacation with learning. It was a great two days and I picked up a few tips and tricks which will help me build better e-learning and use Articulate Storyline more effectively. One of the challenges on Day 2 was to take policy content and turn it into interactive e-learning in under 45 minutes. I spent some time helping a few people at my table and then put this together in about 25 minutes. I used some assets available freely from the E-Learning Heroes Community. A little bit of polishing and I’m happy with it. 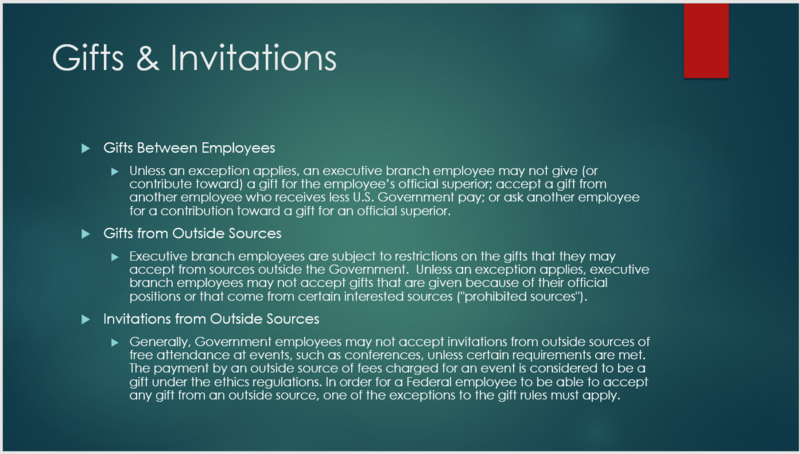 This interaction makes use of the Articulate Storyline Drag and Drop feature, not for quizzing, but for learning. It is a perfect fit for E-learning Heroes Challenge #21 so I’ve decided to add it there. Check out my interaction here. This is the content that I started with. 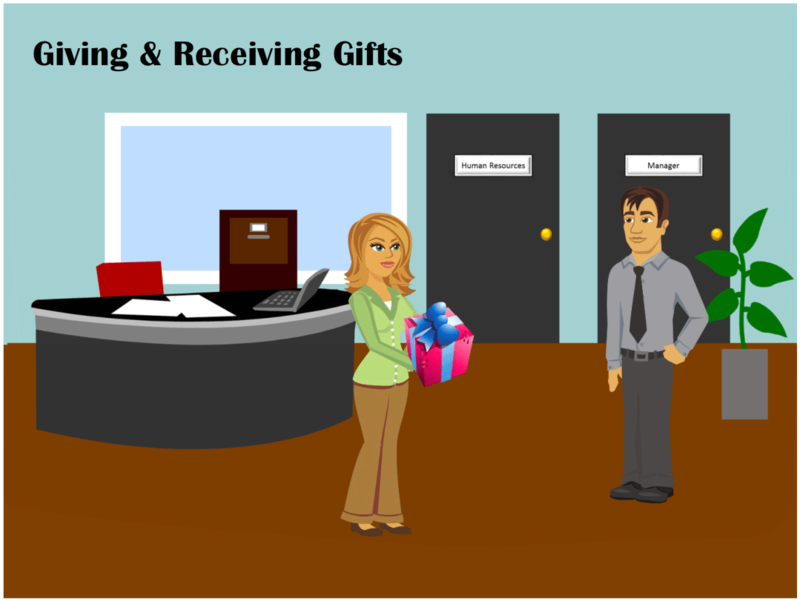 Give the gift to the manager and receive feedback and an opportunity to view the company policy.